You are the current highest bidder! To be sure to win, log in for the live auction broadcast on 26 Jan 2019 10:00 GMT or increase your max bid. We provide an in-house packing and posting service and automatically invoice inclusive of of P&P on by the Monday following Saturday's auction. We strive to keep our postage costs low, and while all items we send are sent via a recorded service; due to the large volume we handle we are unfortunately unable to provide individual / personal tracking data. Should you require such a service, we recommend Mailboxes' Newcastle who can be contacted on 0191 222 0018. 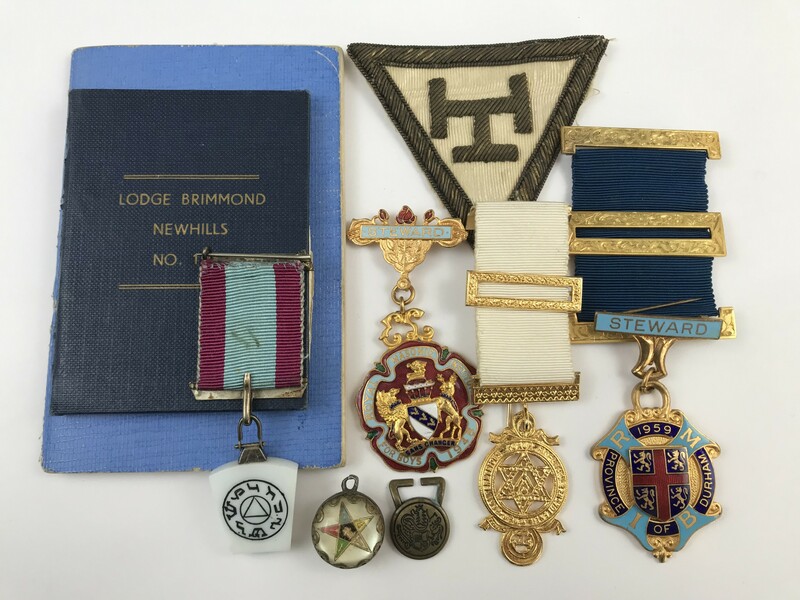 The Third Reich items in this auction have been vetted by an independent specialist. As with all items we handle, we are satisfied of their originality. However, due to the increasing sophistication of forgeries in this field, we can offer no warranty and must stress the importance of potential buyers satisfying themselves as to the nature of such lots. When bidding, you acknowledge that you are fully satisfied as to the attribution and condition of the lot. Imperfections are not stated. You will pay a premium of 18.5 per cent plus VAT of the hammer price of your purchase on each lot. A further 3 per cent plus VAT will be levied on purchases made using the-saleroom.com platform. Buyers who cannot come to a sale may leave their bid with our reception staff after viewing, or make their bid in advance by email. Such bids are placed at the buyer’s own risk.